Two big pieces of news come from Hyundai today, courtesy of an interview with Autocar. Hyundai Styling Chief, Sang-yup Lee told the outlet that the “Russian doll” styling won’t work for the brand as there are just too many models globally and one look wouldn’t suit them all. This is in regard to the awesome styling of the recently revealed Le Fil Rouge, and the future of Hyundai styling in the near and long-term. With that in mind, it shouldn’t come as a surprise that Hyundai already has another concept in the works, and it will be more emotional. Lee sees it as a way to demonstrate how Hyundai’s new design can be interpreted differently. He said that if the Le Fil Rouge is the queen, then the next concept will be the bishop. So, you can expect to see something pretty radical from the Korean brand by the end of this year as it continues to move further and further away from the econobox history it once embraced. Lee also added in that a new production car in 2019 would take a lot of design cues from the next Le Fil Rouge, which could be really good news. The next production car to come out of Hyundai could very well be the next-gen Sonata. It was introduced in 2015 but was facelifted in 2017. The last two generations had short life cycles (4 to 5 years, max) so 2019 would be the perfect time to showcase an all-new 2020 Sonata. The Le Fil Rouge was one of the best-looking concepts at the 2018 Geneva Motor Show, and the Sonata would look quite nice with those stout lines and sporty presence, don’t you think? The Sonata is one of those nameplates that just seems to stick around no matter what. First introduced in 1985 as a replacement for the Hyundai Stellar, the first generation only lasted two years before it got the axe. However, the second generation, which was introduced in 1988, fared far better, finding success in a variety of export markets, including North America and Australia. A third generation arrived in 1993, followed by the fourth in 1999, the fifth in 2004, and the sixth in 2010. The latest seventh generation arrived in New York just last year for the 2018 model year, but the hybridized variant was left conspicuously out of the lineup. 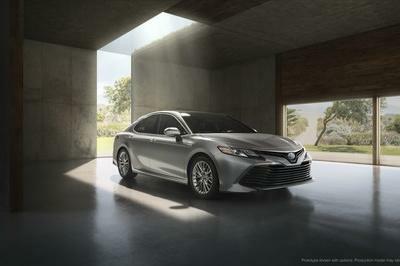 Now, the new seventh-gen hybrid has arrived following a debut at the 2018 Chicago Auto Show. 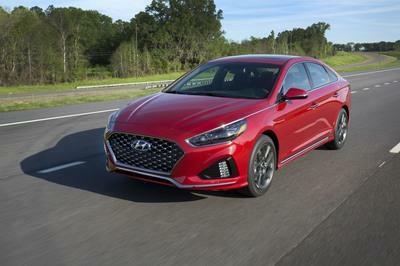 While still framed as Hyundai’s near-premium mid-size four-door, this latest generational update brings improvements in the chassis and handling department, plus new exterior and interior bits, new safety features, and new features for connectivity and infotainment. 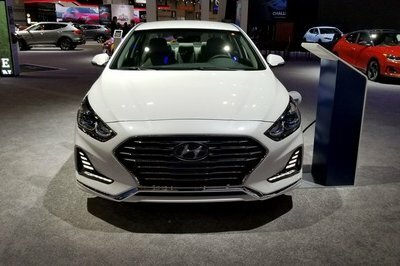 All told, Hyundai is looking to take a more premium approach with the Sonata Hybrid, enhancing it with an upscale appearance, a nicer ride, and better equipment throughout. 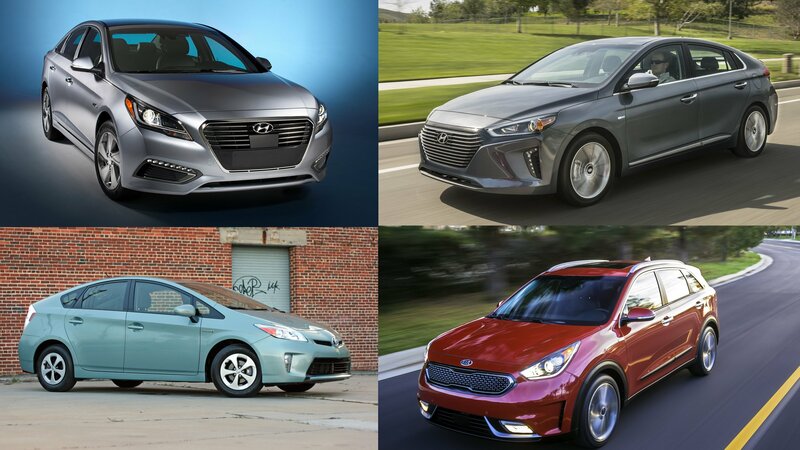 Of course, with demand shifted primarily towards the crossover and SUV segment, competition among the sedans is ruthless right now, especially in the near-premium slot. The question is – where will the Sonata excel? Well, the hybrid gear is certainly a tempting proposition, but how good is it really? Read on to find out. Continue reading to learn more about the 2018 Hyundai Sonata Hybrid. 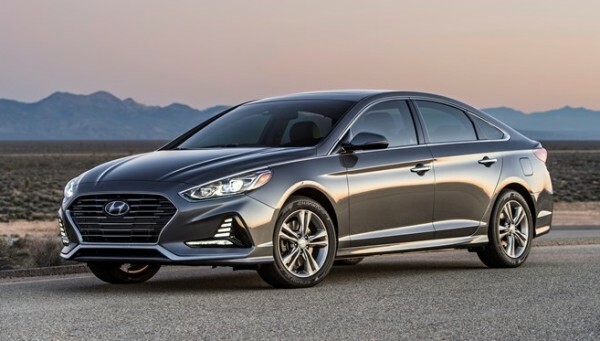 As you might expect with any major generational changeover, the seventh-gen Sonata hybrid brings with it a new exterior styling that definitely sets it apart from the outgoing model. The latest aesthetic is more rounded and sleek than before, almost gaining an Audi-esque vibe overall. Not that it’s a ripoff of the German make by any means – rather, the new Sonata looks as though it has its own take on an aesthetic we’ve seen elsewhere, namely the German-sourced premium sedans. Contributing to the cause is a new fascia in front, where the hood, the grille, the fenders, and the headlights are all redesigned for 2018. 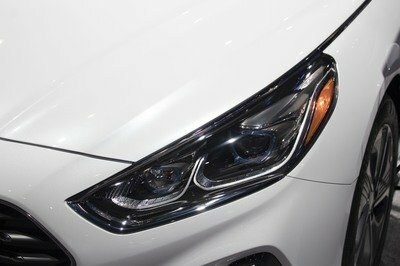 The hood gains numerous muscle lines that lead the eye rearward, adding a sort of streamlined look to the front end. The reshaped grille is the bit that reminds us the most of an Audi, although on the South Korean vehicle, it’s a whole lot smaller. The trapezoidal shape, though, is unmistakable. 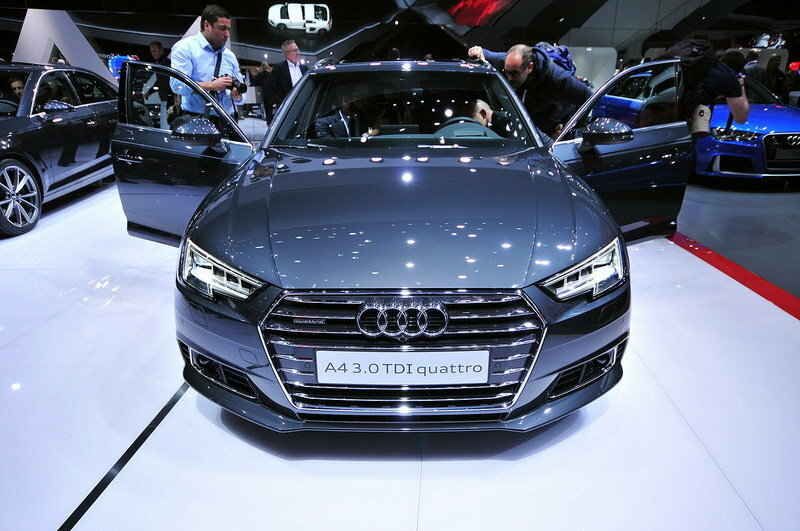 Note: 2018 Hyundai Sonata pictured on the left, Audi’s Singleframe grille pictured on the right. The front fenders also get an update, although the character line started in the headlight housings is retained, stretching back into the car’s flanks to become part of the window surround. 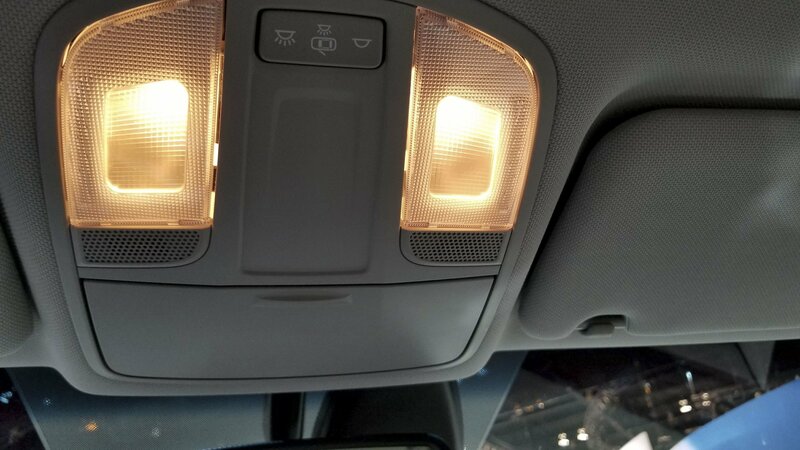 Speaking of the headlights, the housings are now slimmer in their appearance, ditching the older blocky, almost Mercedes-esque housings of the outgoing model and adopting a drawn-back appearance that reminds us a bit of one of the Sonata’s competitors, the Ford Fusion. The headlights are clever too, and offer extra tech like a Dynamic Bending Light (DBL) feature when going for the optional LED lighting elements. DBL will actively turn the headlights as go through a bend, illuminating the road ahead in the process. Meanwhile, the LED taillights and LED daytime running lights come as standard. In the sides, the Hyundai Sonata Hybrid gets some handsome proportions, with a longer hood line, a short rear end, and a gently curving roofline that emphasizes the four-door’s almost coupe-like profile. Here we again find lots of high-end trim bits, including shiny polished trim around the windows and a complimentary character line closer to the ground as well. The door handles also get a brushed metal look to them. 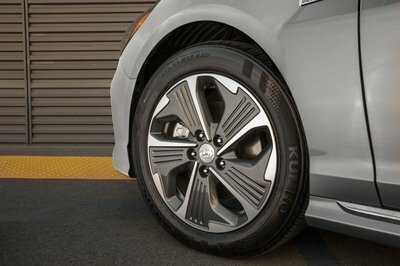 New for 2018 are the wheel designs, which get an “eco-spoke” layout that looks to reduce turbulence thanks to wider slabs of alloy. Wheel sizing ranges between 16 and 17 inches in diameter. Step around the rear of the vehicle, and you’ll find a new rear fascia and a new rear deck. The tail is rounded in its appearance, while the trailing edge of the trunk is turned upwards in a flick to help it appear a bit sportier. A glossy black insert near the pavement visually tightens the rear end, while the taillights wrap around from the rear fenders, looking fancy with their clear inserts offsetting the LED lighting elements. While the new look is definitely an improvement over the old, it’s surprisingly functional as well. All told, Hyundai managed to reduce the coefficient of drag down to 0.24, which is actually better than the 0.25 Cd you get in the Toyota Prius, all of which should do well the maximize the car’s overall efficiency – definitely the sort of thing you want in a hybrid. 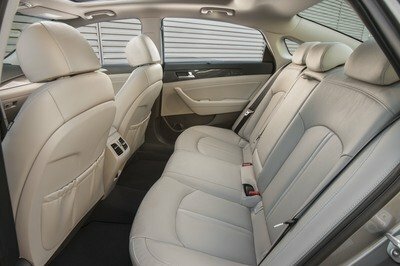 To coincide with the fresh exterior updates, the 2018 Hyundai Sonata Hybrid also gets a slew of updates to the interior spec and layout as well. These include a new instrument panel center stack design, and although the previous model’s three-tier approach is retained (HVAC inputs on the bottom, infotainment buttons in the middle, and infotainment screen above between two air vents), the surrounds and trim bits are updated in a meaningful way. The same is true for the steering wheel, which now gets a more traditional three-spoke layout for the 2018 model year. The steering wheel is also offered with an available heating feature, if desired. 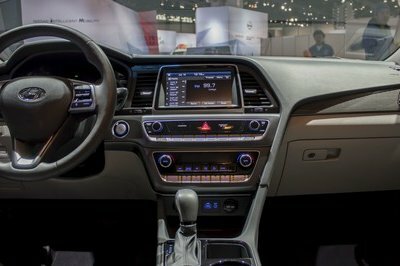 Moving past the layout updates, the 2018 Hyundai Sonata Hybrid comes with a solid selection of infotainment features, both new and updated. For example, the audio and navigation system now include a Bird’s Eye View map perspective, and buyers can get theirs with an optional 8.0-inch color touchscreen. As a compliment to the navigation system, the Sonata comes with loads of modern smartphone support, including Apple CarPlay and Android Auto, as well as auxiliary inputs for your iPod and USB connected devices. There’s also SiriusXM satellite radio for extra entertainment, and Bluetooth connectivity with voice recognition and phone book transfer for added utility. If you decide to get the navigation-equipped 8.0-inch screen, it’ll come with a split-screen operation feature that’ll keep both the map and the music on screen at once – great for multitasking, if you’re a passenger. It’ll also let you record and rewind up to 22 minutes of a given broadcast, just in case you want to relive an important sportscast moment or catch some important news. Or if you just want to hear that one song again. Further infotainment features include SiriusXM Travel Link, which provides traffic info, sports news, weather forecasts, and fuel prices, among other things. The Sonata is also optionally available with a nine-speaker stereo from Infinity, which includes an external amp and a sub-woofer to really bump the tunes. Speaking of traffic, the Sonata also gets the HERE HD Traffic feature with real-time updates as part of a no-pay subscription service. There’s also a three-year complimentary subscription to Blue Link, which offers a variety of Connected Car features for both remote control and extra guidance. A list of the services includes Remote Start with climate control, Remote Door Lock/Unlock, Car Finder, Enhanced Roadside Assistance, and Stolen Vehicle Recovery. The app can be accessed from your smartphone or your smartwatch. A Qi wireless phone charging system comes with models equipped with navigation. There’s also now an extra USB charge port in the rear. 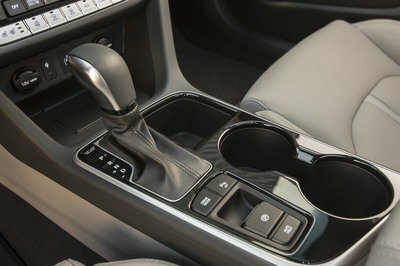 An electronic parking brake with automatic vehicle hold comes as part of the package, and there’s an Integrated Memory System for the driver’s seat and side mirrors. The rear windows get a sunshade feature, and the front seats are ventilated, complemented by power adjusting settings that include electric settings for the lumbar support. Hyundai also says the hybrid model’s battery is mounted under the trunk floor, which provides a flat trunk floor as a result. That means the Sonata Hybrid still has a good amount of utility, and you can still load up and unload without too much trouble. Space in the rear is rated at 13.3 cubic feet of cargo room, while the whole package gets a segment-best total interior volume of 106.1 cubic feet. To enhance the car’s interior space, the rear bench gets a 60/40 split, and there’s an available Hands-free Smart Trunk feature as well. In terms of safety and convenience, the Hyundai Sonata Hybrid starts with a standard rear-view camera, as well as a standard blind-spot monitor and rear cross-traffic alert and Lane Change Assist. That’s all important stuff too, as technology and equipment in this segment can often determine the front-runners from the back markers. There’s also an optional Automatic Emergency Braking and Lane Keep Assist system, and an automatic high-beam assist as well. A Smart Cruise Control with start/stop feature keeps it all as efficient as possible, all of which is well appreciated in the segment. Finally, as a means of rounding out the safety gear, the Sonata gets seven standard airbags, Electronic Stability Control, Vehicle Stability Management, Traction Control, ABS, and a TPMS. All pretty standard stuff, really. Of course, while sleek exterior styling and a healthy amount of tech in the cabin are all well and good, the thing that really set the Sonata Hybrid apart it what it’s got going on under the hood. This include the option between both a hybrid and a plug-in hybrid powertrain. Let’s start with the hybrid, which burns the dino juice through a 2.0-liter Nu GDI four-cylinder engine. Mated to the ’four is a six-speed automatic transmission, but this isn’t just any normal slush box. Mounted inside the gearbox is a 38-kW electric motor and clutch rather than a traditional torque converter. 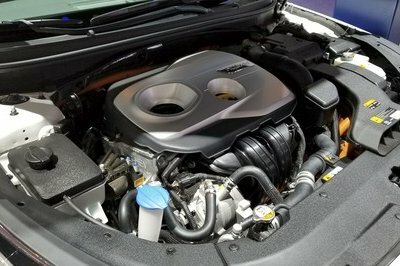 Hyundai calls this the Transmission-Mounted Electrical Device, or TMED, and it’s intended to provide crisp power delivery, as well as lots of mpg at the pump. The transmission also uses an electric oil pump for even better efficiency. Put it into all-electric mode, and the Sonata Hybrid will decouple the gas engine from the drivetrain, enabling it to go as fast as 75 mph on electrons alone. Specs include 154 horsepower and 140 pound-feet of torque for the Nu four-cylinder’s output levels, while the electric motor makes 38 kW, 51 horsepower, and 151 pound-feet of torque all by itself. Total output for the entire hybrid system comes to 193 horsepower at 6,000 rpm. Hyundai also estimates it’ll return as much as 39 mpg in the city and 45 mpg on the highway, which comes to 42 mpg combined – not too shabby, if you ask us. Providing the all-electric juice is a lithium-ion battery pack rated at 1.76 kWh. With a primed battery pack and a topped-off gas tank, the Sonata will go 650 miles before requiring a refill. Now lets check out the plug-in hybrid model, which offers more all-electric range than the standard Hybrid model. Hyundai says the Plug-in will provide upwards of 27 miles in local emissions-free driving on a full battery, which, again, is pretty solid, and could definitely fulfill the daily commute needs of many a buyer. 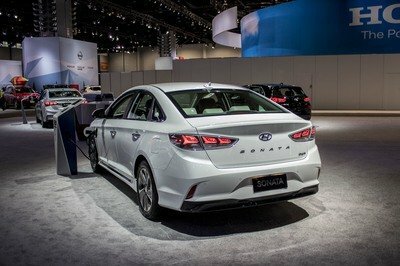 Helping it accomplish that EV range is a 9.8 kWh lithium-ion polymer battery pack, which happens to be five times larger than the battery in the non-plug-in Sonata Hybrid. We agree. Total range for the plug-in, which includes burning of the fossil fuels comes to 590 miles. The discrepancy here between the Plug-in and standard Hybrid is most likely due to the Plug’s smaller fuel tank, which sees a downsizing to make up for the extra space taken up by the larger battery pack. For reference, the 2017 Hyundai Sonata Plug-in gets a 14.5-gallon tank, while the standard Hybrid model gets a 15.9-gallon tank. Like the standard Hybrid, the Plug-in also uses a six-speed automatic transmission, which once again comes equipped with that previously mentioned TMED device for electric motivation. This time around, though, the plug-in’s electric motor is rated at 50 kW and offers 32 percent more power than the standard Hybrid model, which “allows EV operation at higher engine load and speed.” On the internal combustion side of the equation is a 2.0-liter Nu gas burning engine, which produces 154 horsepower and 140 pound-feet of torque. Total system output is rated at 202 horsepower at 6,000 rpm, which is a modest increase over the standard Hybrid. However, we’re willing to bet the larger battery pack and more powerful motor will help the plug-in feel much more powerful thanks to oodles of low-end shove. 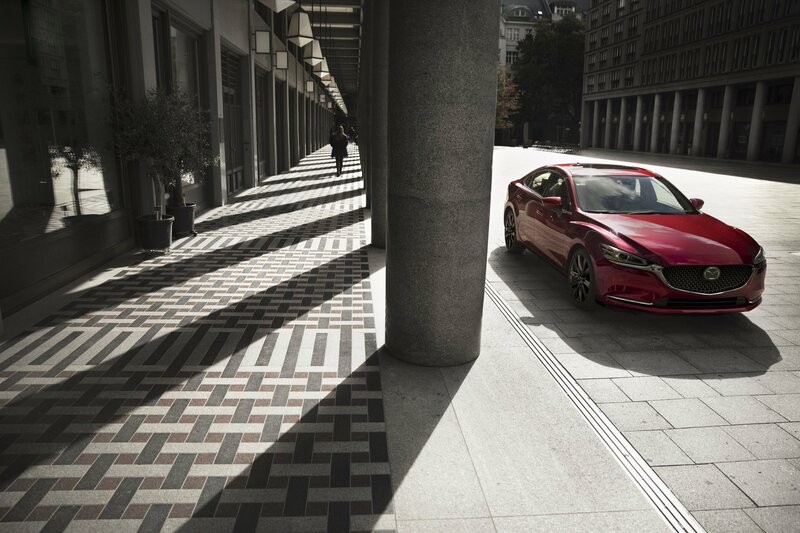 When it comes to premium appearances, the way a sedan rides is crucial. To that end, the 2018 Hyundai Sonata gets a few tweaks to the suspension to give it that smooth sailing feel on the road. This includes a stiffer front anti-roll bar and a more rigid rear trailing arm design. The bushings were also tuned for better response and the steering assistance was re-calibrated for more feel. And although the Sonata isn’t exactly our first choice when it comes to any activity one could consider “sporty,” these enhancements should do well to make the Sonata slightly more interesting to drive. 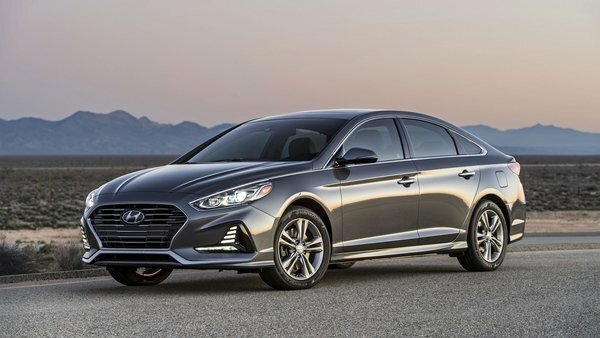 Of course, it bears mentioning that if extra performance is what you really want from your Sonata, Hyundai is offering a sport-tuned suspension on the ICE-only, 245-horsepower Sport and Limited trim levels. Just sayin’. The 2018 Hyundai Sonata will roll off the production line in Asan, South Korea. The hybrid will be available by the first quarter of 2018, followed by the plug-in hybrid in the second quarter of 2018. Exact pricing is not yet available, but expect figures close to those seen with the outgoing model. For reference, the 2017 Hyundai Sonata Hybrid goes for $26,000, while the Plug-in is priced at a much more expensive $34,600. Right off the bat, the Ford Fusion Hybrid looks to be a solid competitor for the Sonata, down to the exterior aesthetic similarities. The same goes for the equipment, with LEDs used for the Fusion’s exterior lighting bits, plus optional equipment that includes an 8.0-inch touchscreen in the dash, leather upholstery, and a few safety techs that come as standard on the Sonata (lane-keep assist, blind-spot monitoring, etc.). Power is derived from a 2.0-liter four-banger making 141 horses and an electric motor making 118 horses. Pricing starts at $25,295. 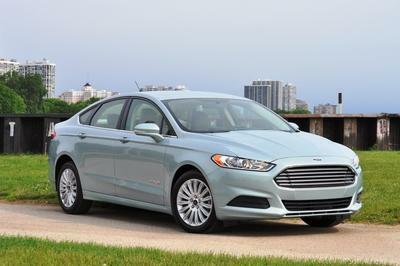 Read our full review on the 2014 Ford Fusion Hybrid. If Hyundai is gonna do well in this segment, it’s gonna need to take on one of the best-selling cars of all time – the Camry. Toyota sells these things in droves, and its even got a hybrid iteration to boot. 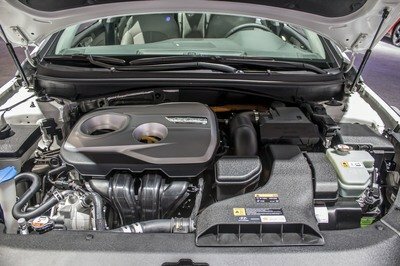 While we think the Hyundai looks better than the grille-tastic Toyota, the Camry still gets loads of equipment, a nice interior, and 208 horsepower from a hybrid 2.5-liter inline four-cylinder powerplant. A continuously variable transmission ekes out every last mpg. Pricing starts at $27,800. Overall, this latest from Hyundai looks to be quite the nice package. We like the new styling, and feel it strikes a balance between unique aesthetic and crowd-pleasing generalities. The tweaks inside are also well-appreciated, and the equipment line-up is generous for the segment. Throw in the very usable storage space and solid engine line-up, and this is one Hyundai that’s definitely worth checking out. Of course, rival products from Ford and Toyota are also strong contenders, offering their own benefits and advantages over the Sonata. That said, we feel the Hyundai is focused on all the right areas, and it’s a good bargain, which is important in the growing hybrid segment. The plug-in might be a bit on the pricey side, but it’s right in line with what we expect to pay to eke out extra miles. Overall, the Sonata Hybrid feels and acts like a normal sedan, even with the extra tech on board, and that makes it quite attractive. Introduced in 2015, the current-generation Sonata replaced a model that was around for only five years. Unlike its predecessor, the current sedan is set to hang around a bit longer, having received a consistent facelift in 2017. 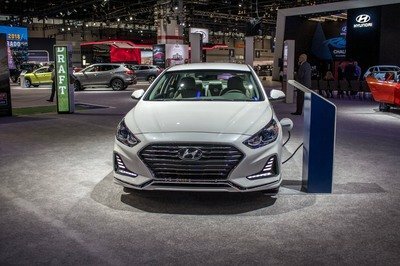 With the almost redesigned Sonata in dealerships, Hyundai is rolling out similar updates for the hybrid and plug-in hybrid versions. Both were unveiled at the 2018 Chicago Auto Show. Not surprisingly, exterior updates are similar to the regular model. The front fascia now sports larger, more aggressive headlamps, a bigger grille with a new mesh, and a reshaped engine hood. The new headlamps features LED technology with dynamic cornering function. A new decklid and taillights round off the rear section, while the sides get new 16- and 17-inch “eco-spoke” wheel designs. The cabin boasts a new center stack and steering wheel, the latter available with heating. The upgraded navigation system includes new Bird’s Eye View map perspective. Models equipped with navigation get wireless phone charging, while a rear USB charging port is available for all trims. Blind-spot detection with Rear Cross-traffic Alert and Lane Change Assist are standard, while Automatic Emergency Braking (AEB) and Lane Keep Assist are available as options for the first time. The Sonata Hybrid gets its juice from a 2.0-liter four-cylinder engine paired to a six-speed automatic transmission that houses a 38-kW electric motor and clutch. The gas engine cranks out 154 horsepower and 140 pound-feet of torque, while the motor adds 51 horses and 151 pound-feet. Hybrid net system power is rated at 193 horsepower. EPA estimates aren’t yet available, but internal testing returned estimates of 39 mpg in the city, 45 mpg on the highway, and 42 mpg combined. Total range is estimated at “more than 650 miles,” a 50-mile improvement over the outgoing model. The hybrid can be operated on electric power only at speeds of up to 75 mph. The Plug-in Hybrid model gets the same gas engine, but a different electric motor and extended range. The 9.8-kWh lithium-ion battery is more than five times larger than the Hybrid’s battery and gives the sedan an all-electric range of up to 27 miles. Recharging the batter takes only three hours with a level-two charger. The total range is slightly lower than the Hybrid, however, being estimated at 590 miles. The 50-kW electric motor is 32 percent more powerful than the motor used in the Hybrid, which increases total system output to 202 horsepower. At one time, Hyundai was one of the best econobox suppliers out there, bringing affordable and efficient vehicles to those who, quite honestly, didn’t have much to spend. Fast forward to today, however, and the brand’s evolution has brought it to a place where its cars are quite luxurious, comfortable, and a pleasure to drive. One prime example of that is the Hyundai Sonata, which has now gone through an extensive facelift for the 2018 model year, bringing about a new and more aggressive exterior look, a revamped, balanced interior, and some enhancements under the metal that include revised suspension and steering systems, a new transmission, and some new safety features as standard equipment. 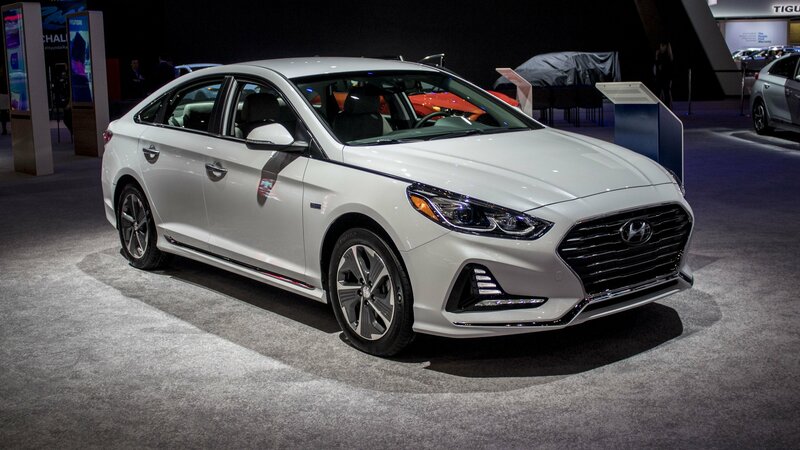 When the seventh-generation model debuted for the 2015 model year, the Sonata featured DNA from the HCD-14 concept and a few cues from the Hyundai Genesis. It was a big departure from the previous model, but sales still dropped from 2014 to 2015. So, Hyundai went back to the drawing board and revised its Fluidic Sculpture 2.0 design language into what you’re looking at here today – a car that means business and looks good doing it. Will its new looks, updated interior, and revised suspension be enough to give models like the Ford Fusion, Toyota Camry, and Chevy Malibu a run for their money? Let’s takes a closer look and find out for ourselves. At this point, I think it’s safe to classify the Hyundai Sonata as a rock solid standby in the affordable mid-size commuter sedan segment. The nameplate has been in use since 1985, with its current seventh-generation first introduced in 2014. To keep it going strong, Hyundai just announced a newly refreshed iteration for the 2018 model year at this year’s New York International Auto Show, and it’s bringing revised styling, new features, better technology, and updated hardware. All in all, it’s a rather standard mid-cycle facelift for the seventh-gen, but still quite significant in its impact. 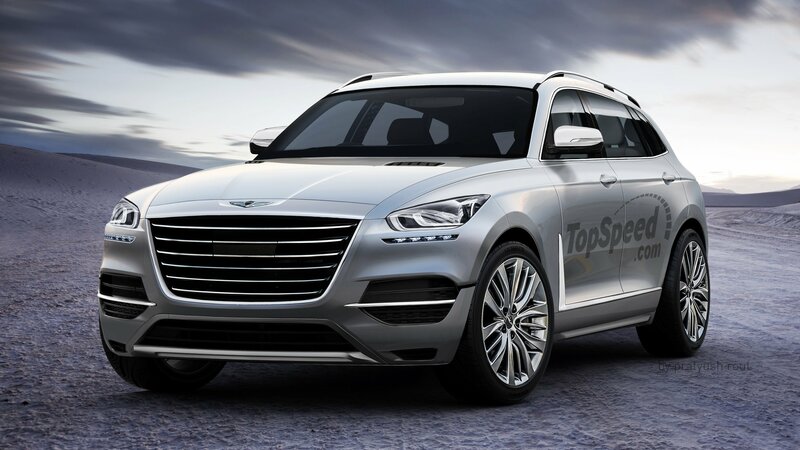 In fact, that’s what Hyundai was aiming for all along, especially when it came to the exterior styling. The fresh look incorporates what the automaker calls a cascading grille design up front, plus a “more assertive profile,” and a redesigned rear end outfitted with a new, svelte taillight design. We think it looks pretty good, moving the aesthetic ahead in a refined, attractive way. Not only does it look nice, but Hyundai also managed to dig under the skin to make it handle better, not to mention make it a little quicker and a bit more efficient as well. Looking for details? Read on. Continue reading to learn more about the new Hyundai Sonata. It seems like only a few months ago when Hyundai last gave the Sonata a facelift, but already it’s time for another one. The new 2018 Hyundai Sonata follows the same recipe for improvement which each time makes the design a bit more premium and grown-up, the powertrains a bit more efficient, and the features a whole lot better. 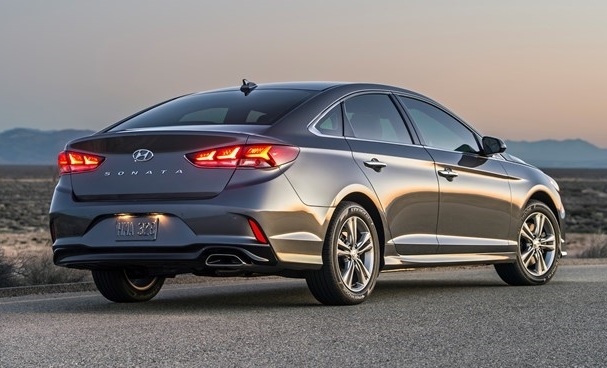 The highlights of 2018 Hyundai Sonata facelift include a “cascading grill,” a more assertive profile and an entirely new rear, plus revised front and side, featuring cleaner lights and slimmer lights. 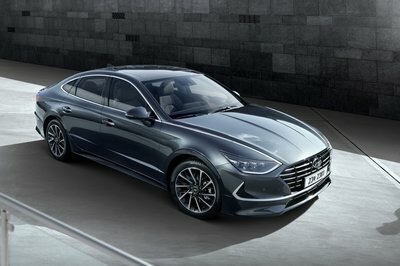 There is also new Sonata Sport trim and 2.0T models which receive mesh grill, unique front/rear diffusers and gloss black window trim plus a host of new 16, 17 and 18-inch wheel designs. Changes to the interior have been less drastic. There is revised audio and HVAC controls with piano key buttons, redesigned instrument cluster/dial design and new three-spoke steering wheel, and standard seven-inch color touchscreen display audio with Apple CarPlay and Android Auto integration. Notable features include new AVN 5.0 multimedia system with improved responsiveness, Blind Spot Detection with Rear Cross-Traffic Alert , eight-speed automatic transmission on 2.0T model, Lane Departure Warning system enhanced with Lane Keep Assist function, enhanced steering calibration and 18-inch Michelin tires for 2.0T models, wireless device charging capability (Qi standard), and second USB charging port. Also, Sonata Sport 2.4L receives sunroof, leather-bolstered sport combi seats, dual exhaust, d-cut steering wheel with paddle shifters. 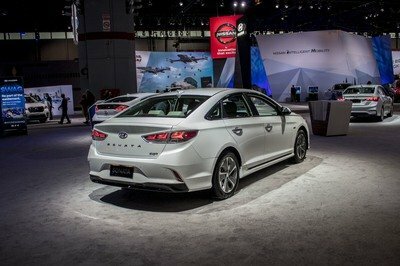 The post Official: 2018 Hyundai Sonata appeared first on Motorward. 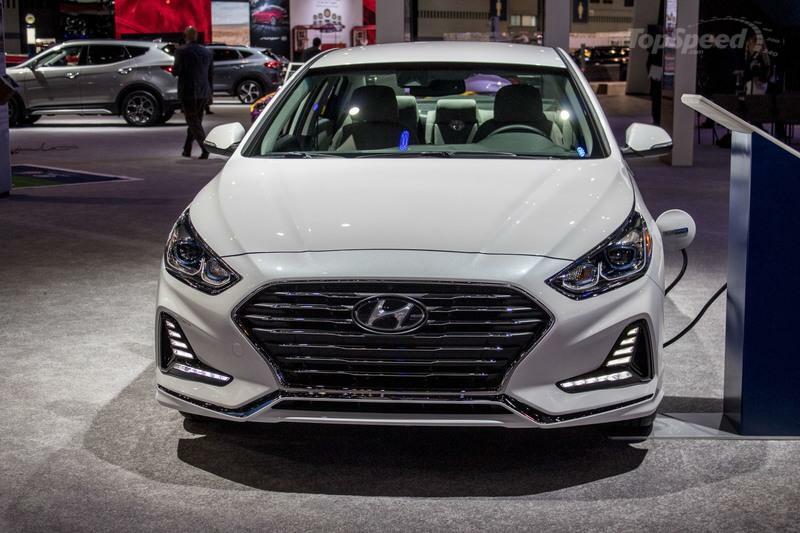 The current-gen Sonata hit the market in 2015 with Hyundai’s Fluidic Sculpture 2.0 design language, which resulted in a more conservative look to help generate interest in Hyundai’s home market, South Korea. The new generation featured a large amount of DNA from the HCD-14 concept but also got some cues from the Hyundai Genesis. Whether or not the new design was successful in South Korea remains to be seen, as figures aren’t readily available, but here in the U.S. and over in Canada, sales actually dropped in 2015 compared to 2014. 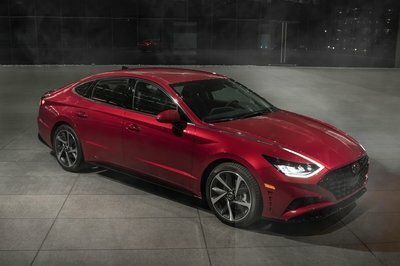 Currently three years into its life cycle, Hyundai is planning a mid-cycle facelift for its resident mid-size that should bring some slight tweaking to the grille, exterior lamps, and fascias, while the interior should get some fresh materials and, at the very least, an upgrade to the infotainment system as well. I wouldn’t expect any changes under the hood as a result of this update, but that’s not why you’re interested in the Sonata anyway, so no big deal there. 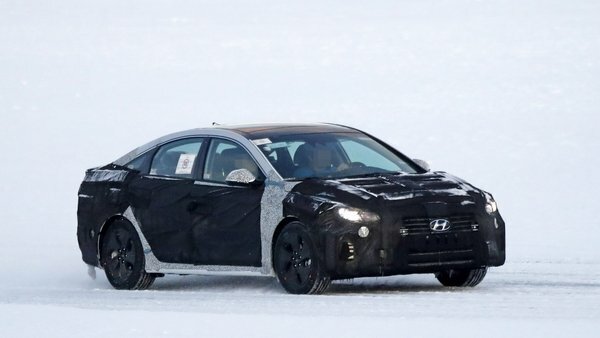 We’re getting our first early look at the updated Sonata, which was caught playing in the snow and well covered with camo and padding to help conceal the changes that lie underneath. That means we don’t have a whole lot to go by, but there are a few things that we can make out on this tester. And, it’s set to make its official debut later on in 2017, so let’s hurry up and talk more about it before Hyundai beats us to the punch and spills the beans. Expect a debut during the latter half of 2017. Continue reading to learn more about the facelift Hyundai Sonata. Hyundai’s sixth-generation Sonata (2009 – 2014) sold pretty well here in the U.S., but over in the brand’s home turf, South Korea, the car didn’t exactly exceed sales expectations. As such, 2014 brought the seventh generation model to S. Korea, which ultimately came stateside for 2015. 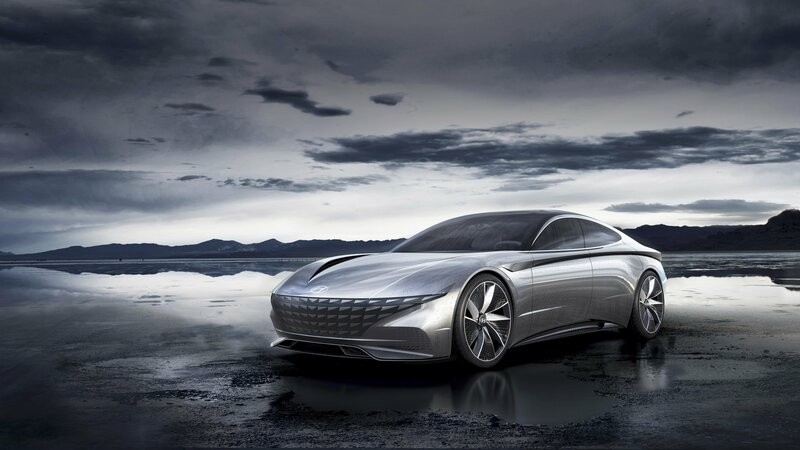 Featuring styling cues from the Hyundai HCD-14 Concept, the car utilizes Hyundai’s Fluidic Sculpture 2.0 design language that brings together things like a new grille design, new headlight lenses, LED foglights, an all-new dashboard, and there’s even a dual-clutch, seven-speed transmission available for certain models. Come 2016, and Hyundai released the Sonata Hybrid with pared a 2.0-liter engine with a 51 horsepower electric motor to provide fuel economy as high as 44 mph while cruising the interstate. With the Hybrid already on the road, it should come as no surprise that Hyundai has finally announced a plug-in variant of the Sonata Hybrid that offers an all-electric range of 27 miles and 99 MPGe when operating in EV mode. While the new plug-in model uses the same 2.0-liter, four-cylinder the electric motor has been upgraded from 38 kW to 50 kW. That means that the new plug-in hybrid is actually a little more powerful. But, there is a tradeoff. See, the Sonata hybrid pulls 39 mpg in the city, 44 mpg on the highway, and 42 mpg combined. While it seems like a plug-in hybrid would be more fuel efficient, this model actually gets 39 mpg combined when operating in hybrid mode. So, unless you plan to actually make use of that all-electric range on a regular basis, you might want to consider the regular hybrid over the plug-in model. But, more about that later. For now, let’s take a look at the DNA that makes up the new plug-in Sonata and everything that it brings to the table. Continue reading to learn more about the Hyundai Sonata Plug-in Hybrid Electric Vehicle. 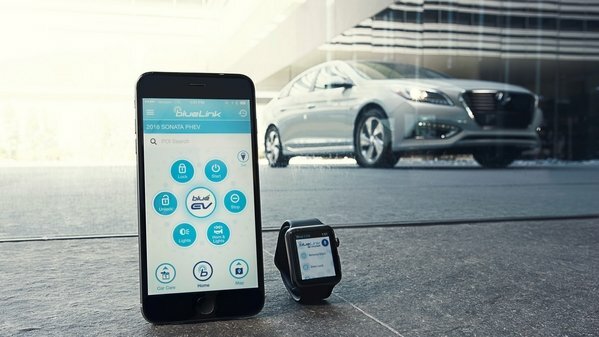 Hyundai has just announced a new update for its Blue Link app that enables Apple Watch users to control various car functions from their wrists. The app and associated update is currently available for free download at the App Store. Hyundai’s cloud-based Blue Link platform enables features like remote engine start, remote engine stop (only available when the engine has been remotely started), remote door lock and unlock, remote flash lights, remote honk horn, car finder, vehicle status (which includes service information) and parking meter. Users can activate these functions either by haptic controls (click the icon) or voice commands (hit the microphone icon and say something like “Find my car,” or “Start my car”). The update will work with both first and next-generation Blue Link-equipped Hyundai vehicles. 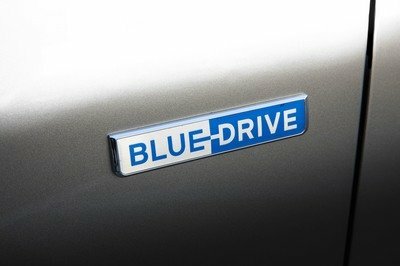 The first-generation Blue Link system was offered on the 2012 Sonata and expanded across the automaker’s lineup throughout 2013. Next-gen Blue Link-equipped vehicles include the 2015 Hyundai Genesis, 2015 Hyundai Sonata and 2015 Hyundai Azera. Hyundai launched it’s Android Wear app at CES earlier this year, which included similar functionality to the Apple Watch app. Prior to this, Hyundai expressed interested in developing an app for Google Glass users, but canceled the project over insufficient demand for it. BMW, Volkswagen, Porsche, and other automakers are also developing their own Apple Watch apps. 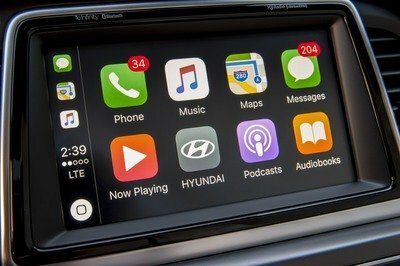 Hyundai is believed to be the first to bring their app to market.